Located in New Delhi's central business district, the Radisson Delhi Connaught Place is Delhi's first heritage, boutique, city centre hotel. Only 150 metres from the Airport Express Line Metro Station and 10 minutes from New Delhi Railway Station, our 5 star hotel is near renowned shopping and attractions. Offering a level of comfort not found at other New Delhi hotels, the Radisson features on-site dining outlets, a Business Centre and a Club Lounge. Guest rooms and suites at the Radisson reflect four highly individual accommodation styles created by internationally renowned design firm Catallo & Mackenzie. Each of our 90 rooms, including 25 superior rooms, 24 deluxe rooms with private terraces, 38 club rooms and 3 suites, features premium brand amenities and is complemented by rich wood flooring and stunning marble bathrooms, ensuring modern comfort for both business and leisure travellers. 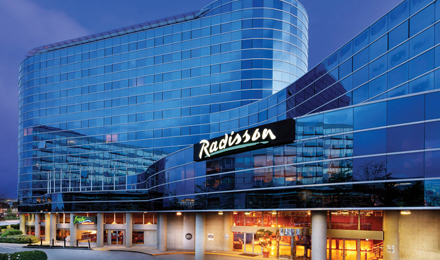 Radisson's four on-site dining outlets serve cuisine to suit every taste. Enjoy Indian cuisine at The Great Kabab Factory, a wide variety of cocktails at The Connaught and international dishes in Fifty9's casual dining room. 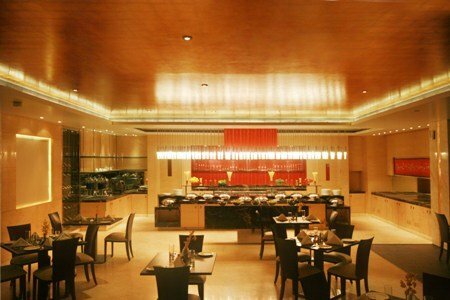 For guests seeking a more relaxing dining experience, Radisson Marina Hotel Connaught Place offers convenient 24-hour room service. The Great Kabab Factory is an Indian specialty restaurant offering a unique dining experience. Using recipes combining the ancient with the contemporary, TGKF brings delectable kababs from all over the Indian subcontinent to one table. The Connaught is a chic and upscale bar, ideal for social or business meetings. The bar features distinctive contemporary décor and serves a fine selection of exquisite wine, choice whisky, exotic cocktails and a wide range of bite-size snacks. Open for breakfast, lunch and dinner, Fifty9 provides a relaxed, casual atmosphere and an eclectic menu that offers cuisines from all over the world. View the Fifty9 menu. Our Connaught Place hotel's exclusive Club Lounge, reserved for club room and suite guests, is the ideal meeting place for social and business gatherings. The lounge showcases a complimentary buffet breakfast, evening cocktails with hors d’ oeuvres, tea and coffee service throughout the day and complimentary Internet workstations. Our in-room dining menu, available 24 hours a day, features a variety of entree and snack options accompanied by a fine selection of beverages, spirits and rare vintages. For reservations, please contact reservations@rdmardel.com.